Remove snow around your house with a shovel so that thawed snow will drain away from your home. Also, remove obstructions or debris that could prevent water from being carried away from your house. Check your home’s drainage. Ensure that flood drains outside your house are not obstructed by debris. Check that the floor drains in your home are unobstructed as well. Roof drains should be open and flow freely. Maintain gutters and downspouts. Backed up gutters and downspouts are likely to cause overflows and flooding. Remove debris, ice, and snow from gutters and downspouts so water can freely move away from your home. 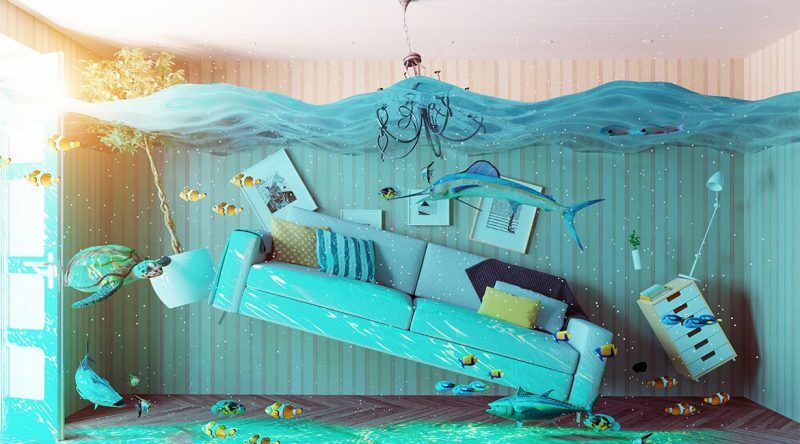 Install water alarm and flood sensors if your home is prone to flooding. These devices are designed to send an alert when they detect unwanted water in the home. Elevate items in the basement. Relocate sensitive items, such as documents or electronics to the upper levels of your home. If you can’t move items from the basement, move them off the ground and onto shelves or pallets. Install a sump pump in the basement. Sump pumps protect your basement from flooding by removing excess water around your home’s foundation, transporting it safely outside. If you already have a sump pump, make sure it is clean and the intake valve is clear. Test the sump pump to ensure it’s in proper condition. Purchase flood insurance ahead of time. Most homeowners’ policies do not include flood damage so it’s important to purchase this protection separately. Contact KRGinsure today as flood insurance becomes effective 30 days after the date of purchase.